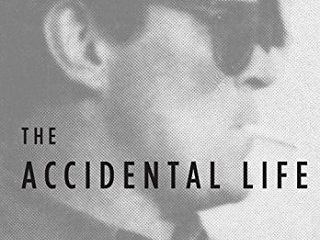 Knopf will enliven the dog days of summer with The Accidental Life: An Editor's Notes on Writing and Writers. In 2010, famed magazine editor Terry McDonell shared a collection of poems written in the 1970s. The 64-page book, titled Wyoming: The Lost Poems, came with a posthumous endorsement from Hunter S. Thompson. Over the last four decades, McDonell has been at the helm of some of the most influential beacons of American journalism: from his early days at Outside through tenures at Rolling Stone, Newsweek, Esquire, Sports Illustrated, and, most recently, as co-founder of LitHub. Now he tells us what really happens between editors and writers – behind the scenes and between the lines – with deadlines ticking. Here are intimate portraits of the most important (and most eccentric) journalists, novelists and media personalities: from Hunter S. Thompson and George Plimpton to Richard Ford and James Salter; from David Carr and Steve Jobs to Jimmy Buffett and one remarkable Sports Illustrated swimsuit model. And here is an insider’s unimpeachable advice on how to get, and keep, the best writers; what makes a great lede and headline; how to style a cover that flies off newsstands (whether or not there’s a celebrity on it); how to build the online traffic that translates into dollars; and how – in whatever format – a good editor really works. The memoir deal for McDonell, 71, was brokered by ICM’s Amanda “Binky” Urban, 69. The author established his own consultancy after exiting Time Inc. in 2012.